This is the last big competition before Worlds in March. This is a tune up of some of the best skaters on the 4 corners of the earth. It takes place in Seoul, Korea, where 91 skaters will be competing. Argentina will be represented for the first time in competition. There was already one withdrawal, with Cathy and Chris Reed pulling out due to injury. Here are our selections for this weekend. Analysis – This looks like a competition between Kazakhstan’s Denis Ten and Japan’s Takahito Mura. Ten struggled this Grand Prix season with only a 4th place finish at Skate America and a 3rd place finish at Trophee Bompard. Mura won at Skate Canada, but stumbled at NHK Trophy (3rd) and the Grand Prix final (5th). Both will look to improve and be ready for Worlds next month. 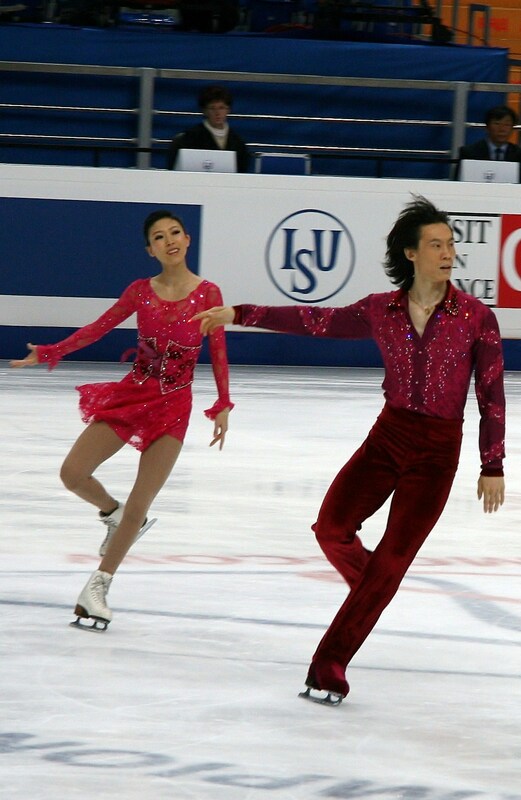 Their main competition will be from newly crowned national champions Jason Brown of the USA and Nam Nguyen of Canada. Brown has Olympic experience and Nguyen is a junior world champion. Skaters to Watch – Japan’s Daisuke Murakami isn’t ready to give up the spotlight just yet. 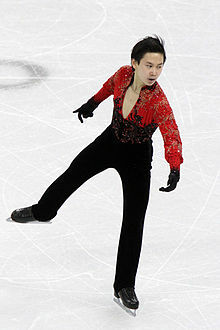 He has a win at NHK Trophy this season and he finished a disappointing 7th at Japan nationals. Joshua Farris of the USA finished strong last month at nationals, finishing 3rd. Uzbekistan’s Misha Ge is another skater that could make things interesting this weekend. Other skaters contending include China’s Han Yan and Junior Grand Prix Final Champion Shoma Uno, who makes his senior debut. Analysis – Japan and the United States have the best chance to medal this weekend. At the top of the list is Gracie Gold, who won her first Grand Prix competition at NHK Trophy. Despite stumbling at nationals (2nd), she’s a solid contender. So is Satoko Miyahara and Rika Hongo, who finished 1-2 at Japan nationals this year. They will continue their friendly rivalry right to the worlds next month. Polina Edmunds will have to have a solid weekend to win over judges after a lackluster Grand Prix season and a 4th place finish at nationals. Skaters to Watch – Japan’s Yuka Nagai makes her senior debut this weekend. The skater finished 4th at Japan nationals and has a few 2nd place finishes at Jr Grand Prix events this season. Others that will look towards the podium includes Canadian Champion Gabrielle Daleman, Alaine Chartrand of Canada, 2014 Four Continents bronze medalist Zijun Li of China and Korea’s Hae Jin Kim. Analysis – 10 teams will participate this weekend, the most notable is China’s Qing Pang & Jian Tong. The team retired after the Sochi Olympics last year, but has decided to return to compete this weekend and at Worlds in March. The landscape has changed though, as they’ll be taking on Canadians Meagan Duhamel & Eric Radford who are on a roll this season, winning ever competition they’ve entered. The United States may have a chance at the podium with reigning national champs and 2014 4CC bronze medalists Alexa Scimeca & Chris Knierim. China’s Cheng Peng & Hao Zhang stands to gain the most this weekend, winning at Cup of China and at Chinese nationals. Skaters to Watch – China has a chance to medal with a third team, defending Four Continents Champions Wenjing Sui & Cong Han. Their performance has slipped slightly, but are solid contenders. 2014 Four Continents silver medalists Tarah Kayne & Daniel O’Shea of the USA also could medal. Analysis – At the Grand Prix final in December, Canadians Kaitlyn Weaver & Andrew Poje edged out American’s Madison Chock & Evan Bates to win the competition. In a preview of next month’s Worlds, both contenders are participating this weekend. Both have had strong seasons so far this year. Two other USA/Canada teams may find the podium as well. 2014 Four Continents silver medalists Piper Gilles & Paul Poirier will contend for the podium, along with Americans Maia & Alex Shibutani, who finished 2nd at nationals last month. Skaters to Watch – 2014 World Junior Champions Kaitlin Hawayek & Jean-Luc Baker continue their climb up the ladder in the senior circuit. Other teams that could move the needle are Canadians Alexandra Paul & Mitchell Islam, who finished 3rd at nationals and China’s Shiyue Wang & Xinyu Liu, who finished 6th at Cup of China. 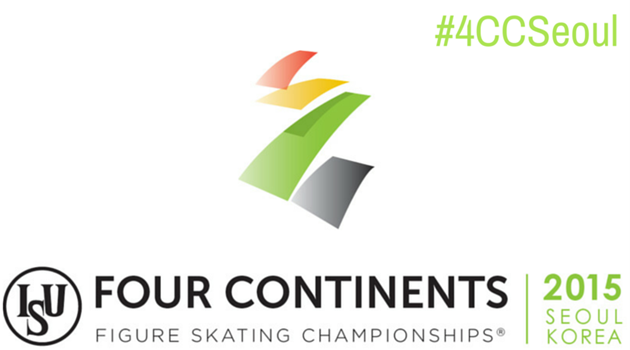 This entry was posted in Figure Skating, Figures skating, Four Continents, Ice Skating, Skating and tagged Figure Skating, Four Continents, Ice Skating, ISU, Skating. Bookmark the permalink.